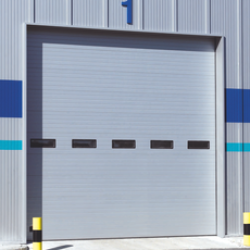 Heavy-duty steel doors available in a wide variety of specifications and finishes. Suitable for all types of industrial & agricultural building applications, including factories, garages, transport depots, warehouses, machine sheds, workshops, etc. 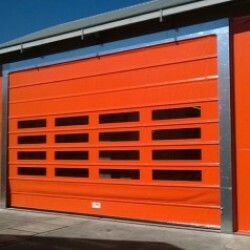 Traditional Single-Skin Roller Doors which come in a range of gauges & colours. Manual, Chain or Electric operation. 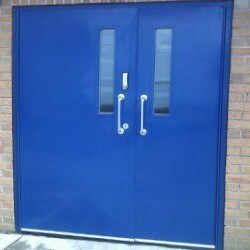 Sectional Panel & Insulated Roller options available. Should be considered when thermal or acoustic insulation is a factor. 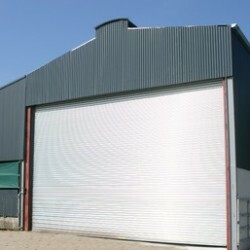 Suitable for a number of applications including industrial & commercial units, personnel access and fire exit doors.